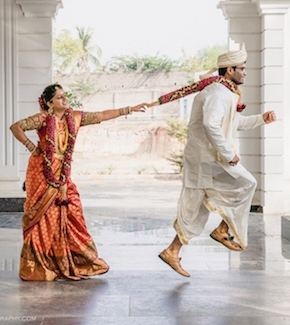 Home / Ideas/ Inspiration / How Much a Destination Wedding in Udaipur Would Cost? We all have watched the movie “Yeh Jawani Hai Deewani” and have dreamt of a destination wedding in Udaipur. 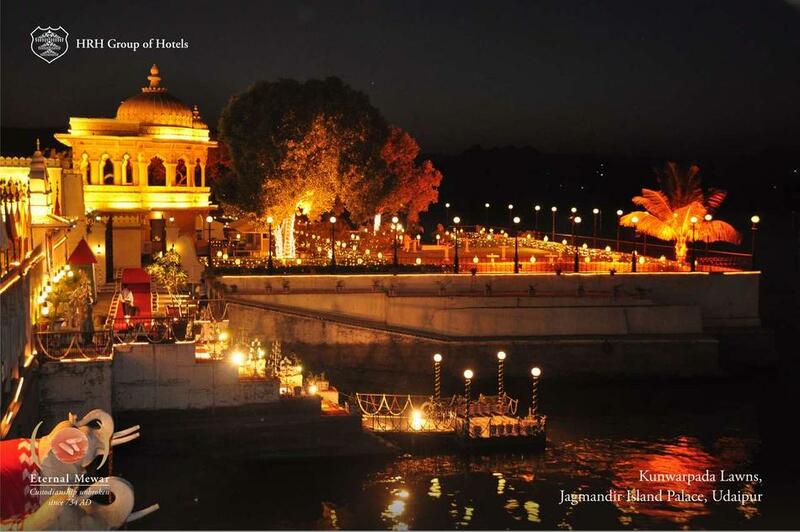 With all those beautiful palaces and lakes, Udaipur has always been the perfect destination for a wedding. But before planning a wedding, there is something that we have to keep in mind, the budget. 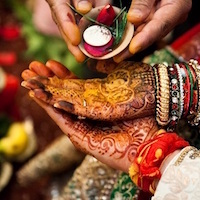 We should know how much a destination wedding in Udaipur would cost and plan the budget accordingly. The cost would completely depend upon the location that you have chosen. It could either be small venues like Chunda Palace and Ramada Udaipur or those dreamy locations like Jagmandir Palace, Taj Lake Palace, Leela Udaipur and Oberoi Udaivilas. There are locations for moderate budget like Chunda Palace, The Ramada Udaipur, Radisson will be the perfect locations for you. Let’s see how much each one of them would cost for a wedding. It’s a beautiful palace and will make sure to give you a royal destination wedding. If you have a small guest list with round 150 -160 people, Chunda Palace with 46 rooms will be perfect for you. The rooms starting from a range of Rs. 10000 and per meal costs approximately Rs. 1500. So, a destination wedding at the Chunda Palace would cost you around Rs. 20 lakhs to Rs. 25 lakhs. For a lavish wedding, this resort can offer you several locations in the same premises. The Ramada resort might not have a Royal look, but the decor can be arranged accordingly to create the royal touch. Rooms starting from a range of Rs 10000 per night and meals range from Rs. 1500 to Rs. 2500 per person. The decorations and other charges are exclusive. A destination wedding here might cost around Rs. 20 lakhs. Radisson Blu is the other great option for a Royal Wedding in Udaipur, with 240 rooms in total. This is the place where the Bollywood actor Neil Nitin Mukesh chose to get married. Rooms have a starting range from Rs. 12000 per night and meals range from Rs. 1200 to Rs. 2000 approximately. Decorations and other charges are exclusive. It will definitely be a perfect wedding venue for you with approximately total cost of around Rs. 25 lakhs. Then we have some dreamy locations. They will make your wedding a fairytale affair. They need an exceptionally high budget of around Rs. 80 lakhs to 1 crore. So let’s see how much it will cost. The Jagmandir Island Palace is undoubtedly the most lavish and royal location in Udaipur. The Jagmandir Island cannot accommodate people but there are other hotels of HRH property for the accommodation of the guests. One ceremony in The Jagmandir Palace would cost around Rs. 30 lakhs plus taxes for approximately 200 people. The accommodation of guests can be done in the hotels of HRH properties like Fateh Prakash Palace and Shiv Niwas Palace, the cost of one room will range from Rs. 23000 to Rs. 130000 per night. A royal wedding at The Jagmandir Island Palace would cost Rs. 90 lakhs to Rs. 1 crore for approximately 200 to 300 guests. Other lavish location for a royal wedding in Udaipur is The Leela. The rooms have a starting range from Rs. 40000 and meals per person range from Rs. 3500 to Rs. 6500 per person. The decorations and other charges are exclusive. A destination wedding here would cost approximately Rs. 70 lakhs to Rs. 80 lakhs. 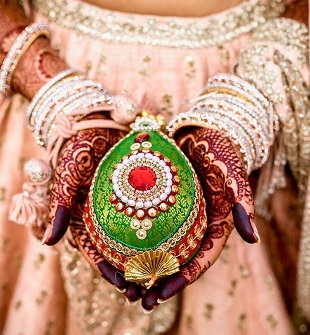 This is definitely one of the most exotic wedding locations of Udaipur with the lavish decor. This is where the wedding part of Yeh Jawani Hai Deewani was shot. The rooms have a starting range from Rs. 45000 and meals range from Rs. 3500 to Rs. 6500 per person. The decorations and other charges are exclusive. A destination wedding in Oberoi Udai Vilas would cost around Rs. 80 lakhs. A destination wedding is a dream for many couple and it should be planned accordingly. These venues in Udaipur will give you your fairytale wedding which you and guests will remember forever.